Brickyard Automotive – Proud to be your partner in all things automotive… We keep America cruising! Job One: Keeping your car on the road the extra mile, running smooth and worry-free. Sure, we’re transmission specialists. We admit it – we know transmissions inside and out. But we’re no one-trick pony. Brickyard Automotive Repair offers comprehensive automotive care – your local one-stop shop for all of your auto maintenance & repair needs. 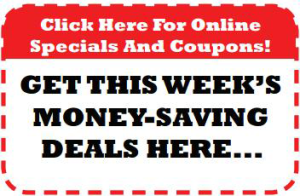 Whether it’s a full service oil change, squeaky brakes in need of service, a bad timing belt, suspension problems, A/C not blowing cold enough, or even your regular factory recommended maintenance visit; Brickyard is fully equipped and certified to diagnose, service, and repair virtually any mechanical or electrical component of your car, truck, or SUV. Brickyard’s skilled, ASE-certified technicians are committed to keeping your entire vehicle safe, reliable, and in excellent road-worthy condition. And our service managers are determined to make sure you’re getting the best possible value on any recommended service. Why? Because we believe providing the highest standard of automotive maintenance and repair –helping you make sure you’re getting the full value out of your investment– is the best way to earn AND keep your business. At Brickyard, we want you to feel like family, so we’ll treat your car as if it were one of our own. And we’re pretty determined to make that car’s life as long and trouble-free as it can be. Keeping America cruising is what we do best, so relax. With Brickyard, you’re good to go. 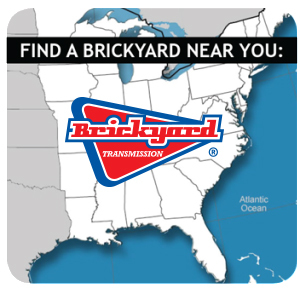 Call your local Brickyard Automotive Car Care Center today and put us to the test. We think you’ll like what you see.